It recently dawned on me that some of my favorites of 2014, that I had the opportunity to read early copies of, are being published this spring. So why not host a preorder giveaway to build more buzz while featuring my favorites? Well, that's exactly what I'm doing. Here are the details: I will choose one winner and he/she will have their pick from the preorders below. I'll make sure the book gets ordered (hard copy or e-book) and delivered to them by publication date! Pretty easy. Now go forth and enter below and help me spread the word about these fabulous books publishing this spring! YES! It's open to International Readers, too! I'm deciding, either To All the Boys I've Loved Before or Side Effects may Vary. They are both highly anticipated titles for me. I'd love to win Side Effects May Vary by Julie Murphy. I keep seeing 'Side Effects May Vary!' I think it is about time I put it on my TBR list. It sounds really good! Thank you for this awesome giveaway! There are so many fantastic books coming out this spring. I can't wait to read Open Road Summer and Jenny Han's latest. They all look great but Side Effects May Vary just shades Open Road Summer for me! I would love SIDE EFFECTS MAY VARY! Jenny Han, To All The Boys I Loved Before. I loved her The Summer I Turned Pretty series. Thanks for the giveaway, Ginger! I'd love to win TO ALL THE BOYS I LOVED BEFORE, it sounds fantastic! Tough choice, but I think I'm most looking forward to Noggin. 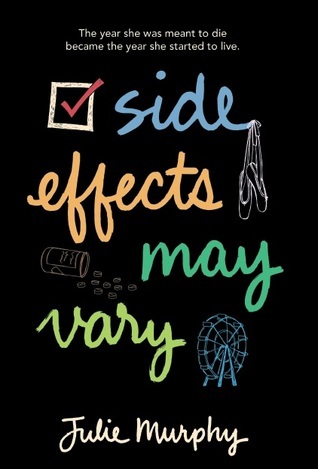 Would love a copy of Side Effects May Vary. Julie Murphy was at Austin Teen Book Festival last September and was so warm and engaging. I've been looking forward to her first novel ever since! It's a REALLY hard choice between Open Road Summer and To All the Boys I've Loved Before. I'd probably pick the latter, because I received an early copy of Open Road Summer. But I might want a finished copy of it, you never know! Thanks for the giveaway! I can't wait for Spring! Also, thanks for the fantastic giveaway. This is awesome! I'm super excited for To All the Boys I've Loved Before. I'm going to go with Noggin. I still haven't read Corey's other book because I'm the biggest loser ON THE PLANET. Don't hurt me. I will read it in March. I promise. I HAVE A PLAN. :) I love your pics and I agree with Julie's book. I can't wait until she comes to NYC! Thanks for the giveaway, G! To All the Boys I've Loved Before by Jenny Han! Thanks! 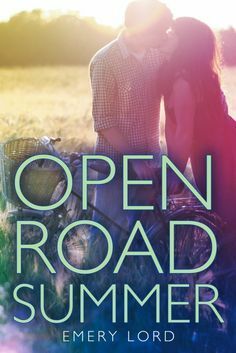 Definitely Open Road Summer (because I've already pre-ordered Jenny's book). SO MANY great choices!! 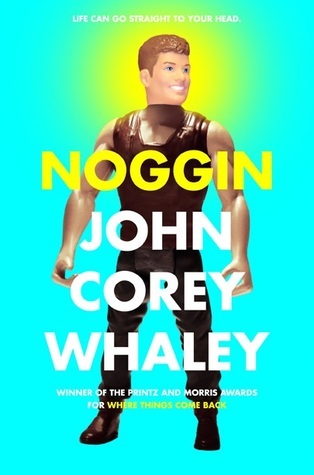 I would have to choose Noggin by John Corey Whale. It sounds funny and great. Open Road Summer looks awesome!! I was lucky to have read To All the Boys I've Loved Before. I LOVED it!! Noggin or side effects definitely one of them! I would love to win Side Effects. I've seen SO many people raving about it! I would love to read To All the Boys I've Loved Before! I'd love to win a copy of To All The Boys I've Loved Before. Thanks for the giveaway! I would love to read All the Boys I've Loved Before--huge Jenny Han fan--my niece and I both adored "The Summer I Turned Pretty" series!! I'm absolutely dying to read To All the Boys I've Loved Before by Jenny Han. I've loved everything I've ever read by her. I'm dying for more! I think I'd choose To All the Boys I've Loved Before. It looks sooo good! I'd love to win Side Effects May Vary. I'd love to read any of these! 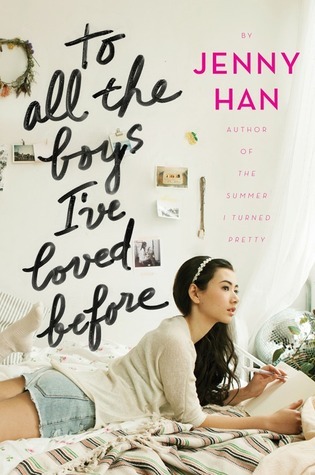 I would love to win Jenny Han's To all the Boys I've Loved Before. I've been a huge fan of Jenny's books, so can't wait to read her latest release. Thanks for the giveaway! I've heard such good things about all of them - is one your favorite? I'm so excited to read To All the Boys I've Loved Before!! Thanks for the giveaway! cannot wait for new Jenny Han!! Fun!! Looks like a good group of books! Rahhhhh. I can't choose between Noggin by John Corey Whaley and To All the Boys I've Loved Before by Jenny Han! I've heard so many good things about To All the Boys I've Loved Before, but I have never heard about Noggin and it sounds like a really interesting read. I'm a little torn, Noggin or Side Effects May Vary. Depends on my mood I guess, one of those though. Thanks. I love Jenny Han so I would love to win To all the boys that I've loved before! I would love to win Open Road Summer. Thanks for the giveaway! This is such a cool giveaway! I would love to win To All The Boys I've Loved Before!!! I adore Jenny Han. To All The Boys I've Loved Before OR Side Effects May Vary! Thanks for the giveaway!!! I am excited for Side Effects May Vary! I would love to get Open Road Summer or To All The Boys I've Loved Before! While wary of Jenny Han at a first glance, I absolutely fell in love with The Summer I Turned Pretty (I still need to finish that trilogy, darn it!). So I'd have to go after her new book! Open Road Summer or To All the Boys I've Loved before - although, honestly, they all sound good! Jenny Han's To all the boys I have loved before or Noggin! They are both on my most anticipated reads list! Can't wait to read Side Effects May Vary and To All the Boys I've Loved Before! I am so torn by which one I want to read the most, Side Effects or To All the Boys?! OPEN ROAD SUMMER I think. THIS is exactly why I'm so excited for this year. It just feels like such a good year for books and so many new ones that sound so good! I really love the sound of all four of these but I think I'd go with To All The Boys I've Loved Before. 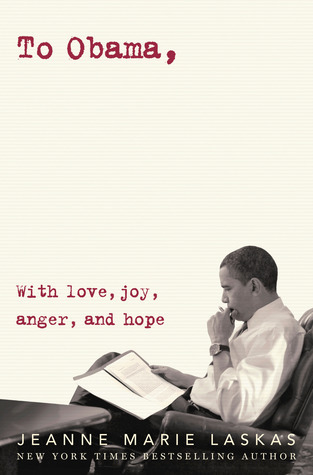 It's the one book I'm REALLY excited for. It just sounds so good and the cover is gorgeous! I am dying to read To All the Boys I've Loved Before by Jenny Han. From the minute I read what it was about it become one of the highlights in my bookish world. Can't wait to read it!! To All the Boys I've Loved Before! I have been wanting to read this ever since I first heard about it. I would love to win Open Road Summer. That cover is so gorgeous and eye-catching that I am desperate to get my hands on it. Thank you! So excited about Side Effects May Vary! I'd pick To All the Boys I've Loved Before. Thanks for the giveaway! I'd love to win "To All The Boys..."
Oh wow. This is a really difficult choice because they're all on my TBR. AH! I think... To All the Boys I've Loved Before. I think. haha. I am so so so so excited for To All The Boys I've Loved Before. I can't wait to read it!